With summer holidays just around the corner now i have been working at expanding my summer wardrobe and deciding what i need! 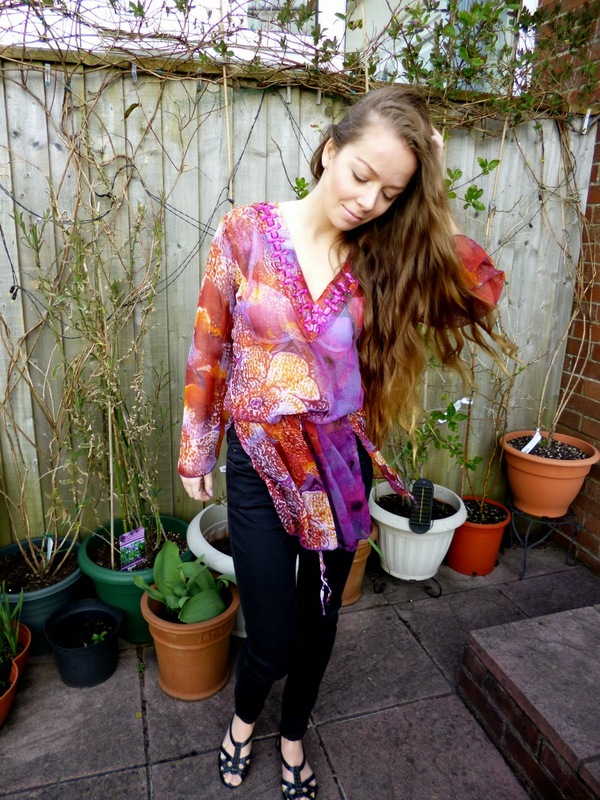 I have always loved Kaftans and tunics because they are perfect for the beach as a glamorous cover up but are also great for a cool outfit during the day, they are so versatile as they can be dressed up or down according to the occasion. 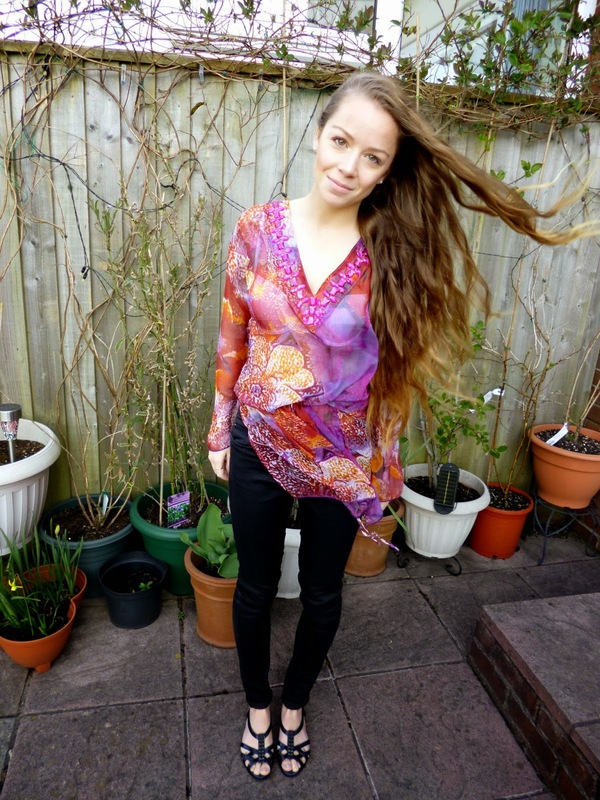 This gorgeous Tunic is from Sunset Chic who are a fairly new online shop who sell the most gorgeous items which are perfect for summer holidays, they sell many more glam tunics like this, as well as kaftans,dresses and accessories all which are perfect for beach season! 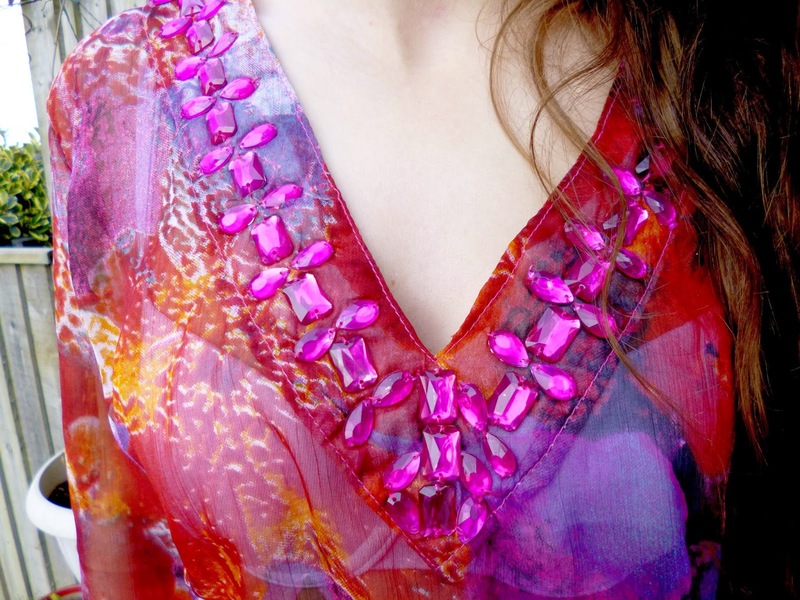 The colours in the tunic are amazing and it will look so glam on the beach, the embellishment around the v neck is beautiful, anything that is pink and jewelled is a winner in my eyes! As you can see it was really rather windy when i took these pictures yesterday haha, i think they make great action shots though! Here’s to hoping we get some beautiful and hot weather this summer! What do you think of this outfit? 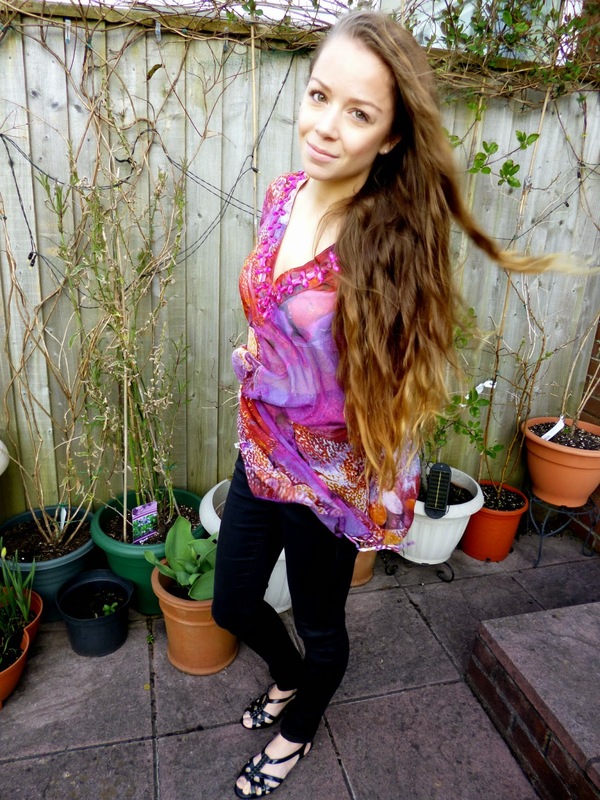 Do you like wearing tunics in the summer? Have you started purchasing clothes for the summer?